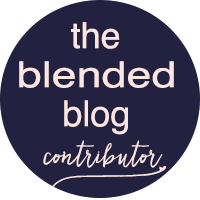 Hi Foxy Crafters! 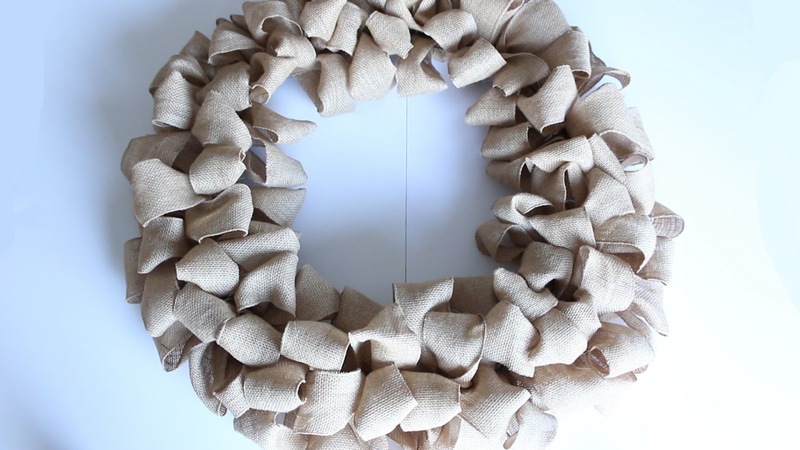 I told you last week I would have a tutorial up for you on how to do a basic Burlap Wreath. I noticed that a lot of burlap wreath tutorials were sort of confusing. 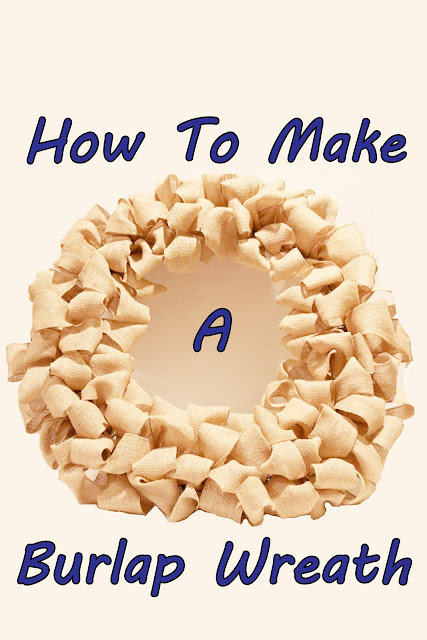 I know when I went to make mine, I had all of the materials, was all set to go, but then couldn't find a tutorial good enough that I could follow it. Perhaps it's just the way I learn, so I'm breaking it down for you! I hope this helps and makes you all want to go out and make one for yourself. Let's get started. Some string or floral wire. 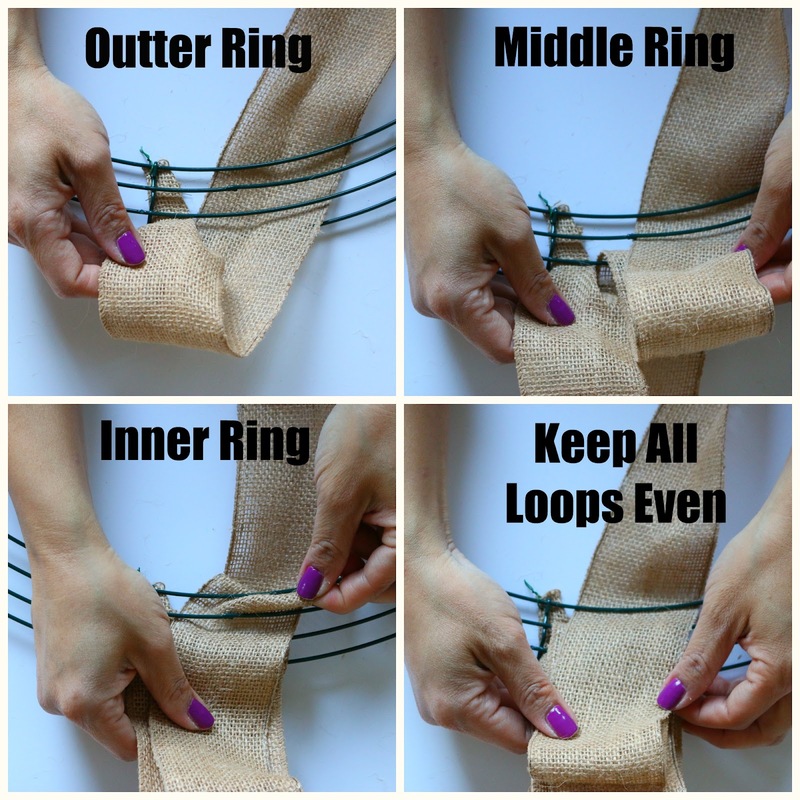 Cut a bit of the floral wire (or string) and fold the burlap in half (some people fold in fourths, I prefer half). 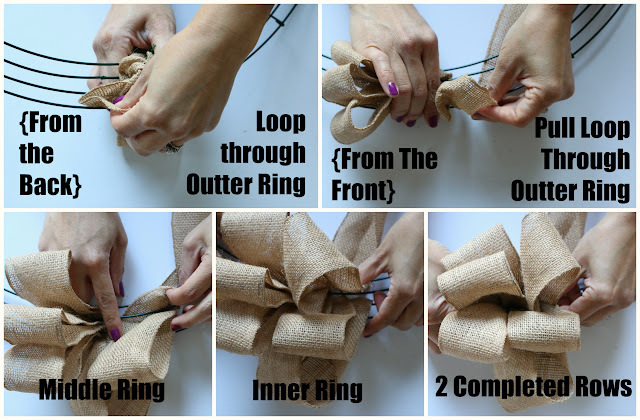 String floral wire through the burlap and attach to the wire wreath. I like to attach to a vertical pole (and the inner most horizontal circle) I like to anchor the burlap to something on the wreath so there isn't much slipping. Then make another loop and loop through the middle ring, and again make another loop and loop through the inner most ring. Twist the burlap a little and then make a loop and loop through the outter ring. 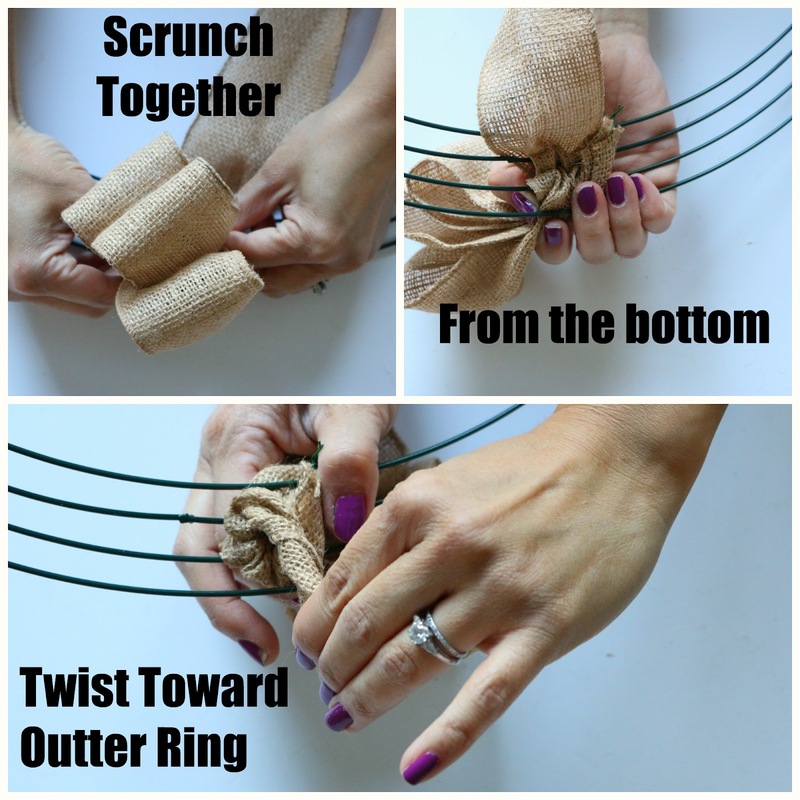 Make another loop and loop through the middle ring, and another loop and loop through the inner most ring. And keep going like this till you get around. As you finish each roll of burlap I like to tie it down and then tie the new one down as well. Keeps it more stable in my opinion. And the finished product! And of course I made a little video for you of the whole process. Cause why not right? 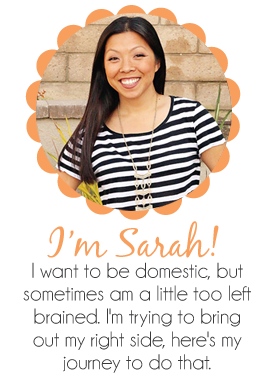 If you make one yourself, let me know and tag me social media! Have fun crafting!